Diabetes Art Day 2012 | A Consequence of Hypoglycemia. Today is Diabetes Art Day. Today is a day when all of our frustrations, worries, and random sparks of creativity combine powers and we, the diabetes community, try to crash Lee Ann Thill’s website, diabetesartday.com, with submissions of our creative expression after it’s passed through a diabetes filter. As we, the diabetes online community have shown, creativity comes in all shapes and sizes and it renders in unique and memorable ways for anyone and everyone. (Wow, that’s a lot of “ands”). Today is an example of what we’re capable of when we stand behind a singular cause or movement. It’s awfully exciting. I’m sure you’re all familiar with the Keep Calm meme. 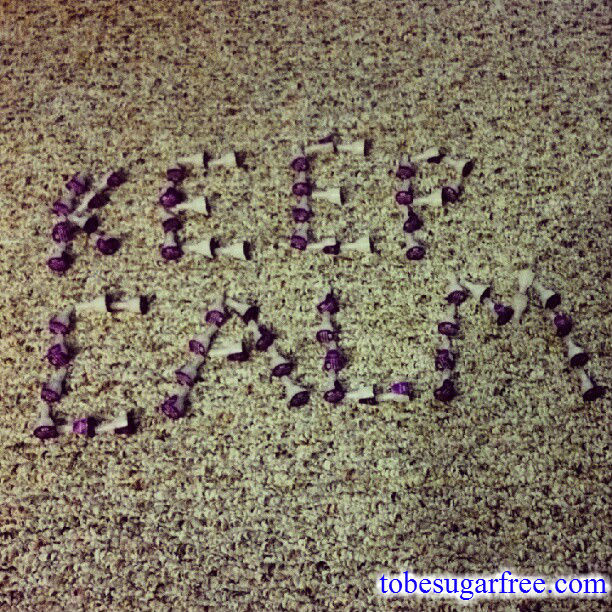 My thinking is that it doesn’t matter what you do after you keep calm, diabetically speaking, as long as you remember the “keeping calm” part. It’s easy to get overwhelmed and reaction irrationally. Letting emotions take over results in over-corrected highs and terminal velocity lows. Not fun. But, if you remember to keep calm, the rest will come to you eventually. It’s tough, I know. But we’re all destined for great things – for some of us it’s in spite of diabetes, for others it’s because of it. Regardless, just remember to Keep Calm and you’ll be fine. Be sure to check out other (more creative) submissions at diabetesartday.com.